What is our Swaying Methodology based upon? Sometimes we get so caught up in the hows of swaying that we forget to think about the whys. But a deeper understanding of WHY swaying happens is of vital importance to the success of everyone’s sway. This understanding can help you formulate a plan so you can work with your body and with Mother Nature, rather than against them. Plus, it can help you understand why GenderDreaming advises the things that we do rather than sticking to traditional sway tactics that other people swear have worked for them(like timing and restricting foods),and make it easier for you to let go of things that simply don’t work in favor of concentrating on that which does. What is the Trivers Willard Hypothesis? Trivers Nutshell version: the Trivers Willard Hypothesis hinges on the idea that animals have a very good reason, evolutionarily speaking, for being able to skew gender ratio in favor of the gender offspring with the best odds of survival to adulthood/competing for mates/successfully reproducing, and that both behavioral and biological mechanisms have evolved (editorial note – or, been designed into us by God) to ensure that this happens. 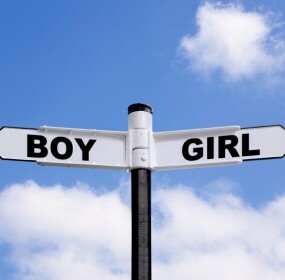 For swaying purposes, we’ll set aside the behavioral aspect of Trivers-Willard and focus on the biological – the stuff that is happening inside our bodies totally out of our control that causes us to conceive more of one gender than another – altho we may mention it along the way. Trivers-Willard is all about the genes – if a male offspring has a better chance at handing down their ancestors’ genes to the next generation, then a couple should have more boys (and be willing and able to invest in them more heavily after birth), and if a female offspring has a better chance at handing down her ancestors’ genes, then a couple should have more girls (and be willing and able to invest in them more heavily after birth). Our community is full of supportive women all working towards a common goal of TTC a Girl or Boy. Please join us!